Sufiy. Investing as a way of life based on common sense. 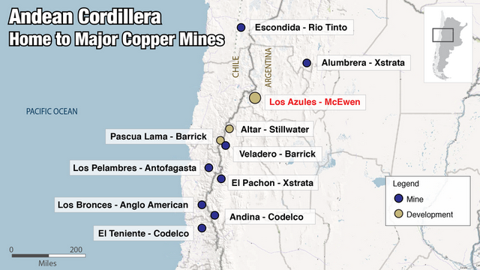 VANCOUVER, BRITISH COLUMBIA, May 11 (MARKET WIRE) -- TNR Gold Corp. (the "Company") (TSX VENTURE:TNR) has received an unsolicited proposal from a third party to merge with TNR and to acquire TNR's wholly owned subsidiary Compania Minera Solitario Argentina S.A. ("Solitario"). The Company has called a meeting of the TNR Board of Directors to determine whether the proposal is sufficiently attractive to commence exclusive negotiations with the third party, and also to consider its other strategic alternatives. TNR and Solitario are currently in litigation with Minera Andes Inc. (and indirect subsidiary of McEwen Mining Inc.) and MIM Argentina Exploraciones S.A. The litigation (the "Los Azules Litigation") involves a challenge to title to a substantial portion of the mineral properties constituting the Los Azules Project in San Juan Province of Argentina. 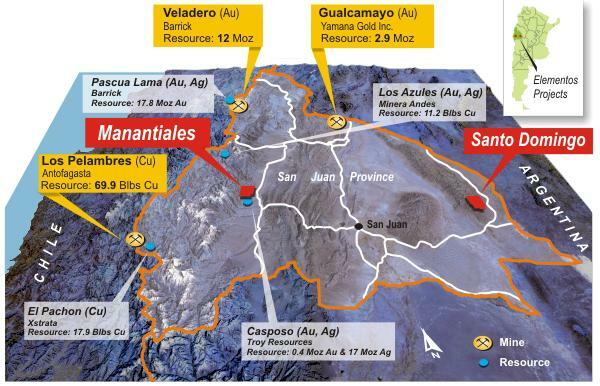 Specifically, TNR is challenging the title of Minera Andes Inc. and certain of its subsidiaries to the mineral properties constituting the northern half of the Los Azules project (the "Solitario Properties"). TNR is seeking return to it of a 100% interest in the Solitario Properties or damages; and, effectively, in the alternative, recognition of TNR's right to back-in to a 25% interest in the properties; together with recognition of TNR's interest in the related Escorpio IV property. 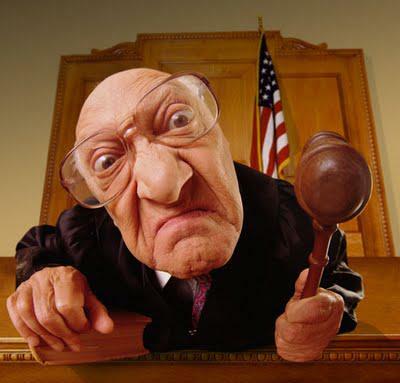 A trial in the Courts of British Columbia is set to commence in November, 2012 and last for approximately six weeks. McEwen Mining is continuing a significant expansion drilling program at Los Azules, but has announced that it is focusing, and will continue to focus, its exploration efforts on the portion of the Los Azules mineral claims that are not subject to the ongoing litigation. Kirill Klip, Chairman of TNR commented that: "The Los Azules project is considered to represent one of the largest undeveloped copper projects in the world but the current legal uncertainty over its legal ownership is detracting from the value of the project for shareholders of both TNR and McEwen Mining. The third party proposal which we have received to purchase TNR, together with the fact that McEwen Mining has decided to limit its drilling activity to non-disputed mineral claims only are further validation of the value of TNR, its title claims and its prospects for success in the upcoming Los Azules litigation." 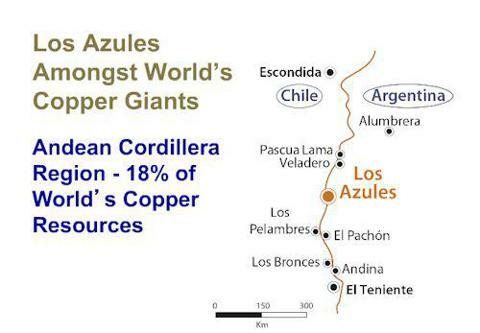 The Los Azules Project is located in western San Juan Province within a belt of porphyry copper deposits that straddles the Chilean/Argentine border. This belt contains some of the world's largest copper deposits, including Codelco's El Teniente and Andina mines, Anglo American's Los Bronces mine, Antofagasta PLC's Los Pelambres mine and Xstrata's El Pachon project, among others. Shareholders and other interested parties are invited to review the Court filings relating to the Los Azules Litigation which are available from the BC Supreme Court registry database (BC Online) and are hosted on TNR's webpage at tnrgoldcorp.com/s/LosAzules.asp. ABOUT TNR GOLD CORP. Over the past twenty-one years TNR, through its lead generator business model, has been successful in generating high quality exploration projects around the globe. With the Company's expertise, resources and industry network, it is well positioned to aggressively identify, source, explore, partner and continue to expand its project portfolio. TNR's recently listed subsidiary, International Lithium Corp. (TSX VENTURE:ILC), demonstrated the successful application of TNR's business model in which TNR shareholders benefited from a unit distribution upon spin-out of TNR's lithium and rare metals projects. TNR remains a large shareholder in ILC at 25.5% of outstanding shares. 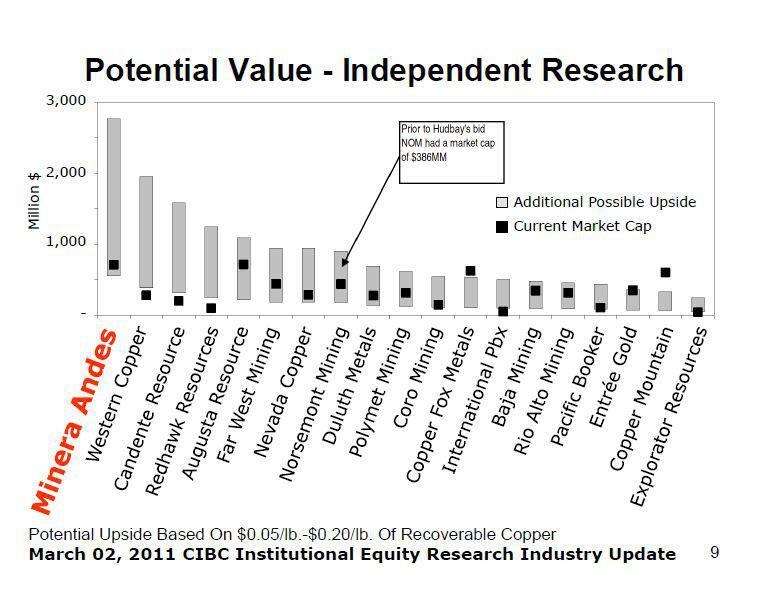 At its core, TNR provides significant exposure to gold and copper through its holdings in Alaska and Argentina; and teamed with the recent acquisitions of rare-earth elements and iron ore projects in Canada confirm TNR's commitment to continued generation of in-demand projects, while diversifying its markets and building shareholder value. On behalf of the board, Gary Schellenberg, President - TNR Gold Corp. Statements in this press release other than purely historical information, historical estimates should not be relied upon, including statements relating to the Company's future plans and objectives or expected results, are forward-looking statements. News release contains certain "Forward-Looking Statements" within the meaning of Section 21E of the United States Securities Exchange Act of 1934, as amended. Forward-looking statements are based on numerous assumptions and are subject to all of the risks and uncertainties inherent in the Company's business, including risks inherent in resource exploration and development. As a result, actual results may vary materially from those described in the forward-looking statements. In particular, there are no assurances that the third party proposal recently received by the Company will develop into a formal offer for the Company, or that any such formal offer would be attractive to, or result in the sae of, the Company. There are no assurances that the Company will decide to commence a formal sale process or that, if commenced, such sale process would result in an attractive offer and sale of the Company. There are no assurances that the Company will achieve a favourable outcome in the Los Azules litigation. CUSIP: #87260X 109 SEC 12g3-2(b): Exemption #82-4434 Neither the TSX Venture Exchange nor its Regulation Services Provider (as that term is defined in the policies of the TSX Venture Exchange) accepts responsibility for the adequacy or accuracy of this release. Contacts: TNR Gold Corp. Gary Schellenberg President (604) 687-7551 or 1-800-667-4470 (604) 687-4670 (NYSEMKT:FAX) info@tnrgoldcorp.com www.tnrgoldcorp.com"
"World's Sixth Largest Undeveloped Copper Deposit"
Note: we are not sure that this particular Judge will be involved in this court hearing. Disclaimer (loosely based on investment bankers' small print): please read our full disclaimer, nothing on this website or any links provided should be relied upon in any way and nobody will accept any responsibility in any case. We are very pleased to see this development: acknowledgement of the ongoing litigation, its risks, property involved and proper representation of all necessary information for the shareholders. Annual General Meeting to be held by McEwen Mining on Thursday May 17, 2012 at 4:00 will provide a good opportunity to ask all questions about this developing story with "World's Sixth Largest Undeveloped Copper Deposit" - as Rob McEwen has called it. "A total of 2,835 meters were drilled this season in eight holes. A drill hole location map, a table of assay results and a cross section of the Los Azules resource are provided in Exhibits 1, 2 and 3. All of the drill holes from this season were completed on mineral claims that are not subject to ongoing litigation." Page 5 provides, finally, McEwen Mining map outlining High Grade Core Copper Zone on TNR Gold's former properties called "100% Held mineral rights (subject to litigation) and surface ownership". We guess, that at some stage Mr Allen Ambrose - former CEO of Minera Andes, will be questioned during the Los Azules litigation on what exactly were his intentions explained in his emails presented by TNR Gold litigation counsel in Amended Claim. "The Los Azules copper project is subject to ongoing legal proceedings with the potential that we may lose all or part of our interest in the project. 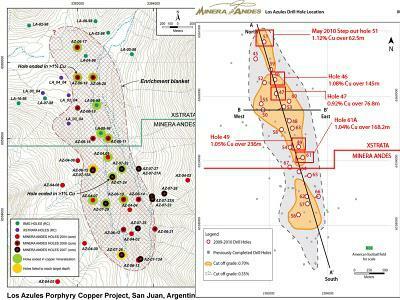 TNR Gold presentation with Maps of Los Azules. TNR Gold Corp. (TSX.V:TNR) Executive Chairman Gary Schellenberg talks about his company's flagship Shotgun Project, located 175 kilometres south of Donlin Creek within the Kuskokwim Gold Belt in Southwestern Alaska. The company acquired the remaining 50% of the project from Nova Gold Resources Inc, and so now controls 100% of the project. 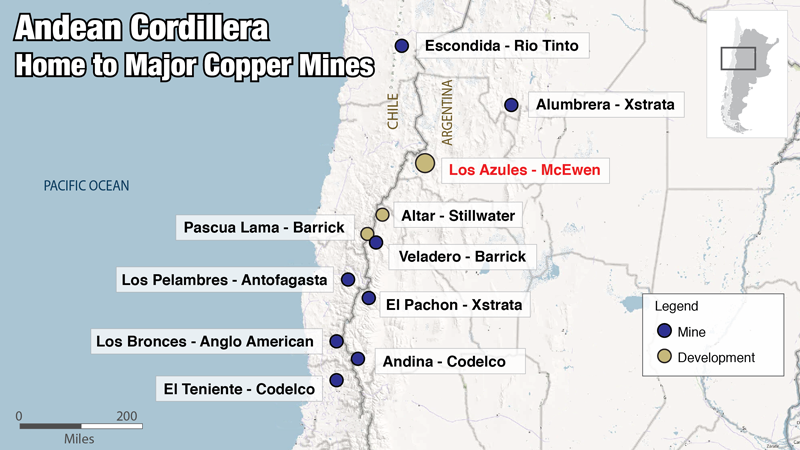 The company is also embroiled in a court dispute with Minera Andes over that company's claim to 100% of the Los Azules project, a large copper project which TNR lays claim to two thirds of the project area. TheJames West: Hi. I'm James West. This is Midas Letter Money. My next guest is Gary Schellenberg. Gary is the President and CEO of TNR Gold Corp., trades under the TSX Venture Exchange under the symbol TNR. Gary, thank you for joining us today. Gary Schellenberg: Thanks for having me. James West: Gary, we're going to jump right into a TNR Gold spinoff, TNR Lithium. Gary Schellenberg: Yeah, that's correct. So International Lithium Corp. is part of our major business plan of creating well through generating new projects. James West: So Gary, tell us a bit about your flagship project? Gary Schellenberg: Well, that's the Shotgun Project which we have in Alaska. It currently has a non compliant resource of about a million ounces made up of about 33 million tons of one gram. The last time this property has actually worked was back in 2006. 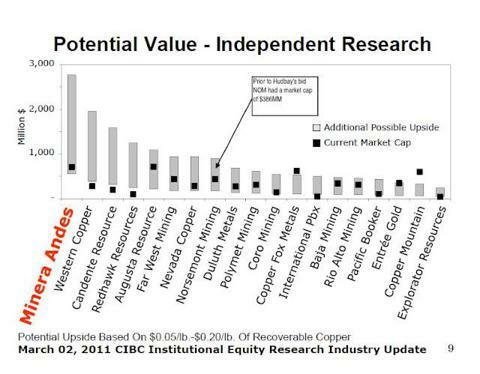 James West: We're talking gold here? Gary Schellenberg: Yes. We're talking gold. And it's one of these intrusive related gold systems that has a big look very similar to the Donlin Creek. And so again, the last time we worked on this property was in 2006. We're earning in our 50% from NovaGold it's operator. And since that time once we earned our 50% the work was done. Late last year we're able to finally cut a deal with NovaGold, acquired the other 50% so now we have 100% of this asset which we think has a lot of earmarks very, very similar to Donlin Creek. James West: So is it continuous to Donlin Creek? Gary Schellenberg: It's what, 80 kilometers away and it's also about 80 kilometers to the west of Iliamna which of course hosts the Pebble deposit. So, it's in a very, very prolific gold area. We think it has a potential not just for one or two million ounces but again very similar type of deposit that Donlin Creek where we hope it's going to host in the tens of millions of ounces. James West: Great. Are you going to drill it this year? Gary Schellenberg: We certainly hope so. Yes. And this is one of our projects where we want to be able to bring in a good partner to help us get to that. James West: Okay. And so now it appears that TNR is a bit in a holding pattern and I'm just going to make reference to the press release of January 13th 2012, "TNR Gold offers to sell Los Azules litigation with Minera Andes for $125 million," can you tell us a bit about what's going there? Gary Schellenberg: Well, it's one of the projects that we generated many years ago and we've discovered a significant copper deposit, probably one of the largest copper deposits now in South America that's undeveloped. It's currently being developed by McEwen Mining. The dispute started about four years ago over some land ownership and has essentially escalated to a point now where four years later we now have been granted leave to amend our claim against the parties to actually include the return of the deposit, the portion of the deposit of disputed land. What's interesting is that from the data that's publicly available, 2/3 of the deposit lies within the dispute of the land. We have at least two different appraisals of this evaluation that's done one by Mechanic Org(ph) back in August stating this deposit was worth 540 million. Most recently, the McEwen Mining, the Info Circular had a discounted rate. Our evaluation was deposited being 185 million. So as you can see, it's something that we take very seriously. It could have a significant impact on our company moving forward and yes, it has put us in a bit of a holding pattern over the last number of years but we're looking forward to having our case heard in November of this year. James West: Okay. So is there other exploration activity into the company right now? Gary Schellenberg: Exactly, yeah. We're going back to our project generation roots. We've just recently acquired an iron ore property in Ontario. We've got two Rare Earth Properties also in Ontario which we hope to aggressively start to develop and bring in partners. We also have our host of asset still in Argentina. We have our El Tapau and El Salto projects which again is part of our model. We're looking to bring in partners and develop these assets. James West: So as an investor looking for something to invest in TNR offers a diverse project portfolio across a wide variety of commodities or is it just precious ones? Gary Schellenberg: No. Exactly, we do all the commodities and that's something. As a project generator, we like to just look at various commodities, what's the next up and coming commodity and then put our exploration team developing new assets and acquiring these things and hopefully ahead of the curve and that's what makes this a success. James West: I see. Tell us a bit about your background. Gary Schellenberg: I've been a geologist for many years - going on now 30 years. I've been early-stage project generator all of my life. We've had some successes in the past. We're one of the first groups involved in diamond exploration in the Northwest Territories. I was one of the founding directors of Winspear Resources which got bought out for about $385 million in the late 1990s. I also got involved in oil and gas at a very early stage as well back when oil and gas was $10 a barrel if you can remember back that far. But it was going sometime and that was back in 1992. That company is currently now Providence Energy which is now being merged with Pembina. James West: Wow! So you got lots of track records of success there. James West: Okay, great. So then what kind of budget does the company have for exploration right now? Gary Schellenberg: This year's exploration we would hope to put together a small budget of about a million dollars to essentially groom up both our iron ore and our precious metals properties in Argentina. James West: Okay. So it's the model in to generate projects for joint venture or is outright sale to other companies? Gary Schellenberg: Exactly. That's been our model over some time that various successes. We have some 13 projects in Argentina all of which three have joint ventured. James West: Okay, and so across what commodities? Gary Schellenberg: Well, we have copper, gold, rare earths, iron ore and expanding every word from Alaska right through to South America and Ireland. James West: Okay. That's great Gary. I'd like to thank you for joining us today. Gary Schellenberg: Well, thanks very much. James West: If you'd like to learn more about TNR Gold, you can visit them online at TNRGoldCorp.com. 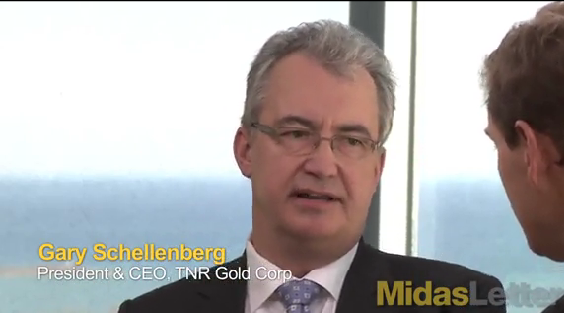 And if you'd like to learn more about companies like TNR Gold at the earliest part of the value creation curve visit midasletter.com. I'm James West and this is Midas Letter Money.